Happy Monday loves! I hope you had a fantastic weekend celebrating the mother's in your life. If you haven't noticed I'm working on bulking up my spring/summer wardrobe with great, ready-to-wear, versatile pieces. 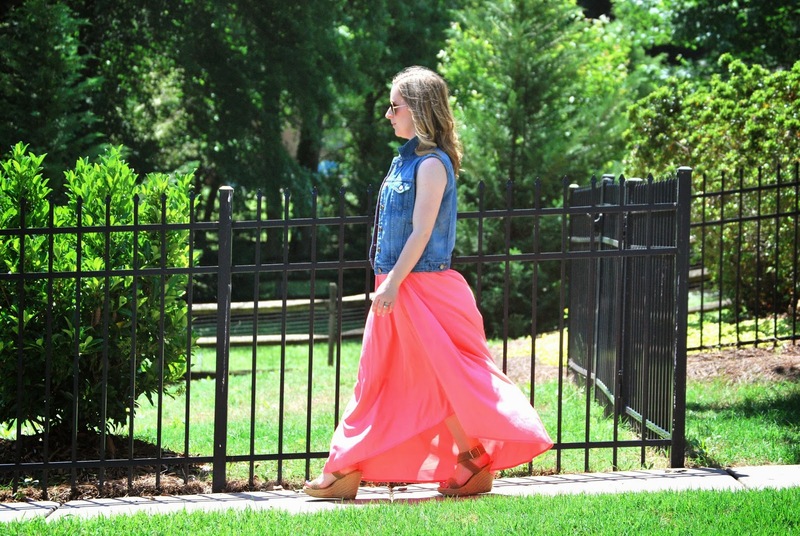 I had been hearing rave reviews of Pink Stitch maxis. I have to say that I was a little reticent - maxis with so much material on petite women can be a little tricky, but the fabric and cut of this dress is oh-so-good. I really had to restrain myself from purchasing in another color. (The cobalt is to die for!) This particular dress took me from a morning at the aquarium with Peanut to a housewarming party to girls-only dinner. You can't get more versatile than that! And while you at it, be sure to check out the other goodies at Social Dress Shop. I had the pleasure of playing dress up in this local gem's closet earlier in the week and the pieces are oh-so-pretty! 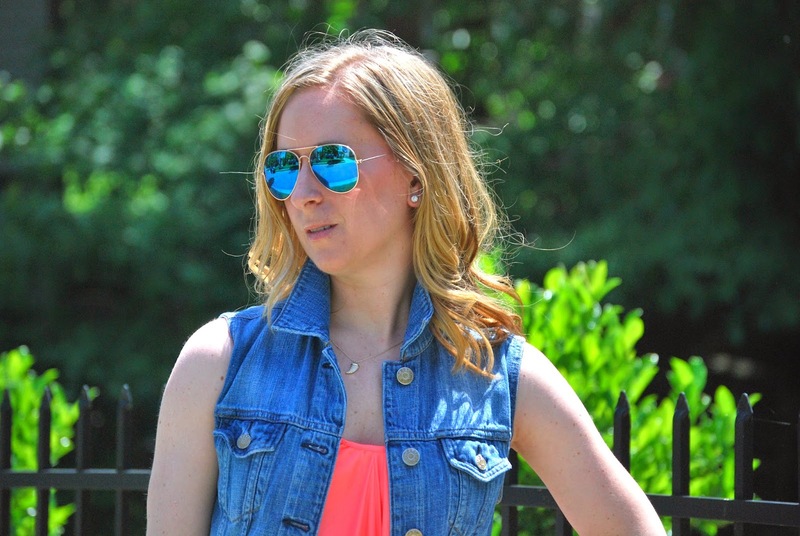 I really need to get a denim vest! I love how it looks with the dress. LOVE THIS LOOK! That is definitely your color and I love the denim vest. I have similar Stuart Weitzman wedges and wear them almost daily in the summer. So versatile. Great post, love! Ohhhh this dress!!! This vest!!!!!! You!!! Love everything about this outfit. Hello there! I have this dress in my cart and I'm wondering..what kind of bra can you wear with it? Hope you can help, thanks!